Eva Marcille at the 2017 BET Awards at Microsoft Square on June 25, 2017 in Los Angeles, California. Eva Marcille paired her dress with a beaded gold purse from The Classic Maven Boutique. 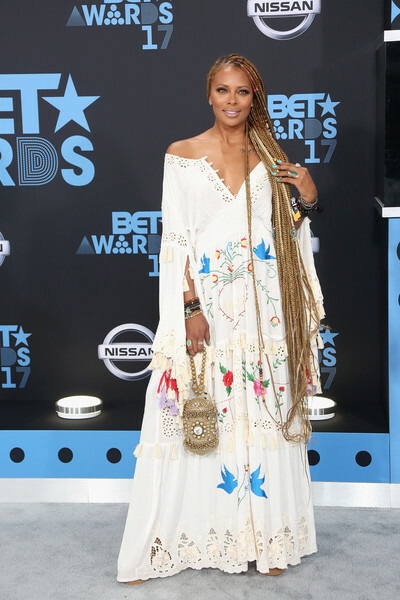 Eva Marcille brought some bohemian charm to the 2017 BET Awards with this printed off-the-shoulder maxi dress by Fillyboo.